As the days get shorter, candles can bring warm light to every corner of your house. All over Northern Europe, as autumn leaves fall and frost begins to lick at the eaves, candles wink from windows as people stoke their fires against the oncoming winter. 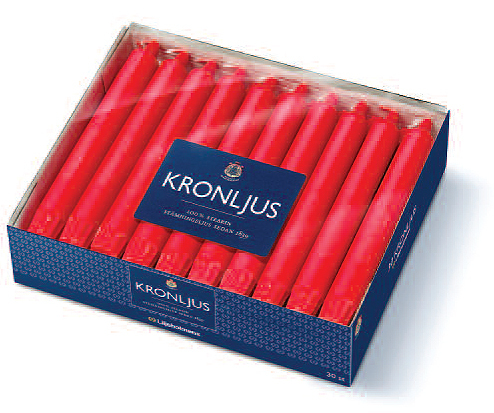 The Scandinavian candles featured at Fjorn Scandinavian are of the highest quality, burning steadily and cleanly for hours. Choose white or a bright color to match your interior and let these candles bring gentle warmth and soft light into your home all winter long. Liljeholmens has been manufacturing Stearin candles for over 150 years in Sweden and supplies candles to the Swedish Royal Family. 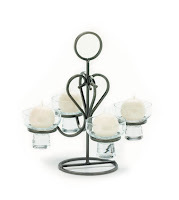 Stearin is the highest quality wax and Liljeholmens candles are manufactured to not drip. These taper and pillar candles burn with a bright, clean flame for hours. Available in white and red and several different sizes, these candles are the best available, always ready to warm your table. 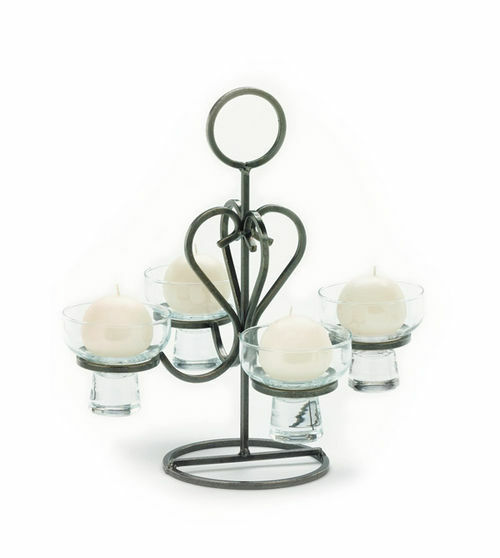 This Danish candle holder looks great lit up by four votive or Danish ball candles; its clean wrought-iron design fits well on any table. Four flames are bright enough to light any dark corner or brighten a holiday table. 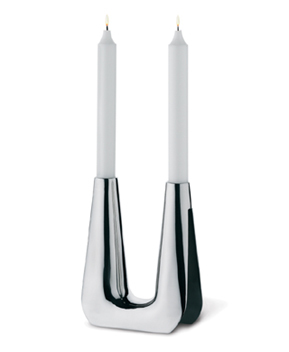 This stunning candelabra is a redesign of an iconic Soren Georg Jensen piece from 1960. These clean lines and beautiful proportions are stunning on their own, but when paired with tall white or red tapers it becomes a centerpiece in its own right. Made of stainless steel, they are easy to clean and will last a lifetime. These candle holders are great exemplars of clean-lined postwar Danish school of design. 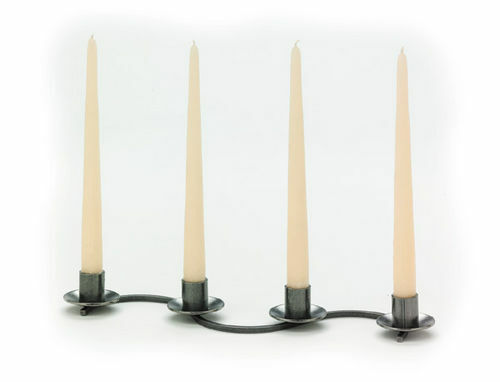 This four-taper Danish candleholder looks great and does a fantastic job of lighting an oval or long rectangular table. Simple, clean, wrought-iron construction makes it easy to dress up or dress down depending on the formality of the occasion. Paired with red tapers, it makes a great December addition to your table.